Six colors: white, orange, red, blue, black, grey. 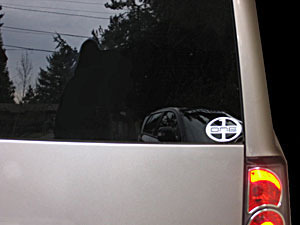 These decals are 3.5 inches wide, high quality vinyl. Cost is $3.50 each, including shipping (USPS First Class). Please be sure to include desired color, and mailing address. Quantities are limited, order now.